is required to be operated. incorporating a unique two-wheel front end. Each of the two wheels has an independent hydraulic suspension system. The unique three-wheel design of this bike produces exceptional stability and safety when compared to two-wheel motorcycles. This bike is designed by a team of engineers who have implemented the latest innovations of the electric vehicle industry and is built using the highest quality materials and components available. The iTank has the precision of a Swiss watch without any of the delicacy, an image that immediately comes to mind upon embarking on a ride. giving you the confidence to take corners sharply. No matter what the roughness of the road, the independent adjustment of each wheel to the surface of the road will ensure the utmost stability. The battery pack is composed of the highest energy density Panasonic or LG 18650 battery cells. individual battery cell compared to the dated cluster control of a regular Lithium-Ion battery pack. is developed by the French company FPS (For see Power Solutions). he BMS communicates with the VCU (Vehicle communication Unit) through the CANBUS protocol and reports current consumption and generated current levels when using the brakes. The state of Charge (SOC) is dynamically calculated and displayed as a percentage on your dashboard. An iOS and Android application is currently in development that will be able to communicate through a wireless network with the on-board VCU. There are two battery compartments that can accommodate two removable 60V/26AH Lithium batteries. The two batteries are connected in parallel and the VCU communicates with each one individually. The HS (High Speed) version of iTank provides a range of 75km, with speed of 65km/h. On ECO mode, the range is 95km, with a maximum speed of 45km/h. removed and charged off the bike. The 12� BOCSH motor is incorporated in the cast aluminum rear wheel rim. 150NM and it does not even produce any excess heat! The most reliable indicator of motor efficiency is the relation between power and torque at every speed. power of 1490W with 80% efficiency. This is only 40% of the total peak power this motor can deliver. The iTank's German BOSCH motor packs a135 Newton meters of torque in a compact, stylish package. Another advanced and unique feature of the iTank is the controller of the motor. algorithm with a sinusoidal output signal. to a hard steel cable throttle ensuring accelerating stability, response and safety. This type of controller is designed using the established principles of acceleration in electric cars. The controller eliminates the disproportional starting part of the acceleration curve and ensures smooth yet powerful acceleration. It also relieves the battery of any initial high-power demand that can be extremely detrimental to the life of the battery. The front suspension is the most distinguishable part of this bike. arms translating the vertical movement of the wheels into horizontal movement of the iTank. of the bike and a flexible rubber dust cup covers it outside preventing any dirt penetration. That wouldn�t be possible using ordinary vertical shock absorbers. from hardened steel with titanium coating preventing metal deformation even under the most violent conditions. Two vertical hydraulic absorbers at each end prevent the shocks from hammering at extreme conditions. All connection points are covered with dust-protective rubber membranes. All three touch points provide incredible stability and a comfortable ride in all terrain conditions. obstacles such as curbs, stairs, ditches, etc. The long traveling arm of the rear suspension also allows the rear wheel to follow the terrain surface smoothly. Unlike a two-wheel cycle, the iTank is equipped with three hydraulic disk brakes. 80% of the braking power of the two-wheel cycles is provided by the front wheel brake. The two 220mm front disk brakes provide twice the braking power of any two-wheel cycle. The braking distance is also reduced by 30% compared to two wheel motorcycle. 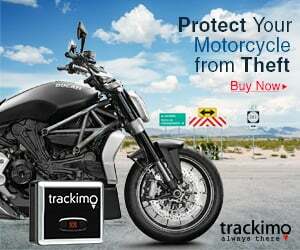 The three ground touch points make the iTank a much safer ride compared to any two-wheel motorcycles. More than 80% of motorcycle accidents occur without the involvement of any other vehicles. They occur because of sideslips due to sand or rocks on the road or because the rider underestimated the tilting angle. confidence to counterforce the centrifugal force when performing sharp turns. The headlight incorporates auto-motive standard hi/low beam LED light that provide brighter and wider illumination than the equivalent capabilities of a halogen headlight at 60% less consumption. Over 8000 lumens are concentrated in the 35 degrees beam at high beam mode. Independent LEDs support the wide area daylight running lights. The rear running and brake LED lights are wrapped around the rear end providing 270 degree visibility. The front and rear LED turn signals are 40cm apart from each other thus ensuring that the iTank conforms to motorcycle regulations. They are designed to be visible from sideway as well. An extra wide, and bright, dashboard displays the current speed and error codes, total mileage, controller temperature, real time output current, battery charge, the current consumption and regeneration current. All of these measurements will also be available to the rider on their Smartphone with the app for the iTank. electronic components of the bike. The VCU runs diagnostic tests on each of the components every time it is activated to ensure the utmost in safety and security. The VCU communicates with all other electronic components of the bike through the CANBUS protocol. If a component is malfunctioning the VCU displays the error code for the problem on the dashboard. The GPS module, the security and communication modules are all incorporated into the VCU. When the key is inserted in the ignition, pressed and turned left the handlebar will be locked. The application will be released in June of 2018.
as practical as a car. interfering with the second passenger seat. With a total volume of 120 litters they can accommodate as much language as a big suitcase. They are secured with a lock. The top box is attached with a quick release mechanism and can be removed at any time. With 70km/h you can consider a windshield for a rainy weather. It can be easily mounted and detached at any time. A rain cover keeps your iTank dry on rainy days. For extra security, you can lock the rear disk with alarmed disk brake lock. of even a beginner. Get on it and Go! Smart outdoor cover that fastens securely and hugs the contours of the iTank Extra Removable high-performance lithium ion battery pack charges in under 6 hours and gives you a 62.1371 range on a single charge. provide you years of trouble free performance. uneasy to be scratched and UV protection with outstanding anti-corrosion properties, etc. Easy Assembly, With Installation Videos Available Upon Delivery. Well What Are You Waiting For! !